The inclusion of tile in your home décor is no longer limited to the kitchen and bathroom. Tile is still a preferred choice for backsplashes and tub and shower areas, but designers and creative homeowners are discovering decorative ways to add tile to other areas of your home. Some of the following ideas may encourage you to add a wall of tile in an unexpected area of your home. Decorative ceramic wall tile can add texture, dimension and visual interest to your living room. With such a wide range of color and design choices, you can find a tile that will complement almost any décor. When you add a wall of tile to the living room, you instantly create an accent wall that can function as the focal point of the room. You may not have considered adding decorative ceramic wall tile to a room that is seldom seen by visitors to your home. However, a wall of tile would be a fantastic way to enliven the atmosphere of the laundry room. You deserve to have something attractive to look at while you’re doing mundane chores in the laundry room. 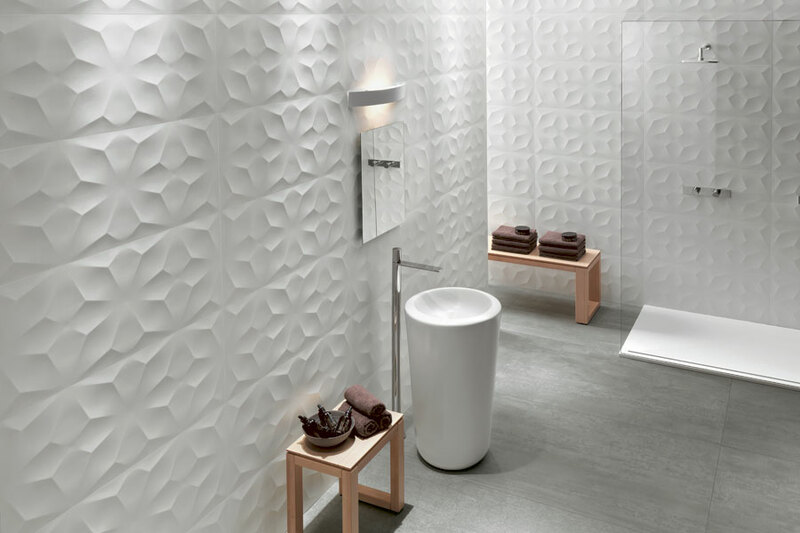 Decorative ceramic wall tile can be used to define a space. It could be used to create a reading nook, a workspace or a play area for the kids. Children like bright colors so bold colored tiles would be ideal for a play area. You would probably want to use more subtle colors and mesmerizing designs for a reading nook or workspace. A tile wall is a great way to visually separate that area from the other part of the room. Nature can provide the ideal background for you to create a luxurious outdoor lounging space. It can be extremely relaxing to spend the evening outdoors under the stars. Rising early and venturing outside, with a cup of tea, coffee or cocoa, just before daylight arrives can also be a soothing experience. You only need a minimal amount of unique and luxurious items to create an impressive outdoor retreat. You could create an outdoor relaxation retreat using standard furniture pieces. However, using unique items is the best way to personalize your retreat. One or two swing chairs would encourage relaxation. A floating hammock bed is an example of a fun, relaxing and comfortable piece of outdoor furniture. An outdoor daybed with a canopy is another option that invites you to linger outdoors. You’ll want to include some small tables, ottoman or outdoor pouf to your retreat to give you a place to put a book, a beverage or other items you want to have nearby. One way to create a luxurious outdoor retreat is to choose over-the-top impressive accessories. Using functional fine art in your outdoor retreat design enables you to incorporate some amazing statement pieces into your design. A custom designed fireball can be the highlight of your luxury retreat area. You can become totally mesmerized by its exquisite beauty. If you are fortunate enough to be able to create your retreat in a private space such as a patio or garden area, adding an artistically stunning gate to the retreat would assure privacy and add beauty to your outdoor décor. It doesn’t matter how beautifully decorated your home is if the air inside isn’t healthy. Your home should be a safe and comfortable place where you and your family can rest and relax. Use the following tips to achieve this goal. 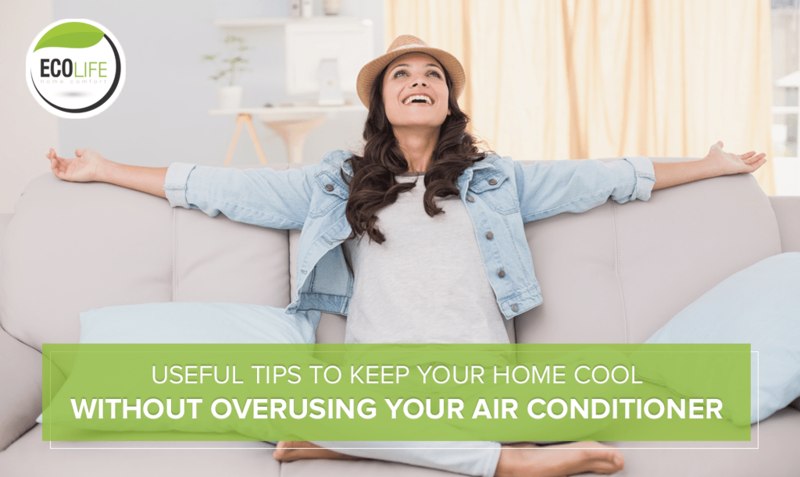 Haviing a heating and air conditioning system that keeps your home at a comfortable temperature all year long is a wonderful asset. Make sure that the heating unit and AC are routinely inspected by a professional and that all necessary repairs are being taken care of. It is easy to find HVAC repair in Polk County FL that you can trust to take care of your home’s needs. The humidity in your home is just as important as the temperature when it comes to comfort. Too much in the summer makes you feel hotter, and too little in the winter leaves you susceptible to illnesses. In order to maintain a good humidity range, you need to be able to control the level of moisture in the air. Using a humidifier in the winter will combat dryness while a dehumidifier in the summer makes the temperature more bearable. Mold can be a hidden danger within your walls. It can cause the members of your family to become ill if it isn’t properly taken care of. If you suspect mold, or have experienced water damage, have a professional mold and mildew removal team inspect your home. They can find problems and take of them before they cause you harm. A lot of people don’t understand how hard it can be to sell a house. For those who have not done it, there is a general attitude that you simply collect the money, sign on the dotted line, and go on. However, the nature of the housing market has made it such a hassle that this is now very far from the truth indeed. So, let’s say I put my house on the market and I sell my house fast. Before I can collect the money or sign on the dotted line, I first must make sure that the home will pass inspection. Now, this isn’t just a casual look around the place. No, you can bet that your buyer will want several of them to be done before a sale is finalized. After all, there is a lot of money at stake. And as you might guess, the sale is not likely to proceed if these inspections are not passed. Even if local laws do not require these inspections (which they usually don’t), your buyer will probably be very upset that you did not tell him about any issues that are found. Water damage is probably the worst thing to worry about. This is the kind of damage that can really kill a home’s value because of the extensive repairs that are often required. This is because water problems lead to mold problems and rotting problems, and many times you must replace whole sections of the home. Fortunately, they are not always this bad in practice. A small leak isn’t really a big deal if you catch it early on. The septic system inspection is likewise a nail biter. No one wants to deal with a backup of human waste, as this is one of the nastiest problems imaginable. Just the thought of it is enough to turn the buyer’s stomach. Personally, I would never buy a house with a septic problem. In the end, you will have to come out of pocket to fix the septic system, and if you can’t do that you will probably have to take a much lower price for the home. There are several insurance companies who will do general home inspections that look at a wide variety of factors. While they do not inspect literally everything (which would be a huge job) they can save you a lot of money by checking several boxes at the same time. 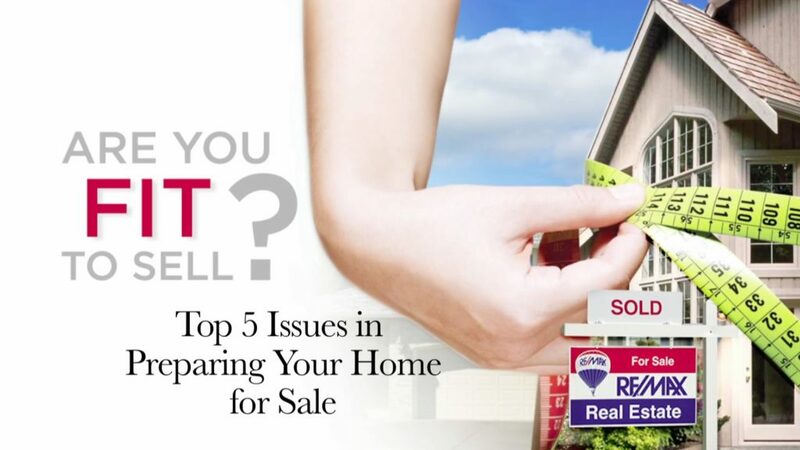 When your buyer begins asking for inspections, this is a good place to begin. There is at least one option to avoid all of this, however. There are several places online where you can use the services of a third party to get your house sold in a quick and convenient manner. While you will probably not get as much money doing it this way, it will save you a lot of time and trouble, which makes it an option that is at least worth considering. As a property owner, you have the responsibility of keeping your premises in clean and sanitary condition. When it falls into disrepair, you could face fines or penalties from the local zoning board. When you are not equipped to handle the improvements that need to be made to your property, you may want to outsource it to a third-party contractor. By researching your options for asphalt pouring, concrete paving, and site development pittsburgh pa property owners like you can make the best decision regarding your premises. When you wonder if the company can assist you, you can get a better idea of what projects it can handle and has dealt with in the past by visiting its website. The website shows you in detail what kinds of projects in which the business specializes. It can handle projects for both residential and commercial properties. When you need a new driveway paved, for instance, you can hire the company to pour the asphalt and then smooth it so the driveway is appealing and safe. You do your part to uphold the safety requirements for your property. You also avoid steep fines that could be levied against you by the zoning board. Before you hire the company, however, you might want to know that you can afford to do so. You do not want to start the process of paving, only to find out you cannot pay the price for which the company asks. The website has a free online email form that you can fill out to request more information. You can include your contact details like your name and phone number. You can also give a few details about what kinds of services you are needing. Contractors are hired for a variety of purposes including remodeling projects and roof repairs. 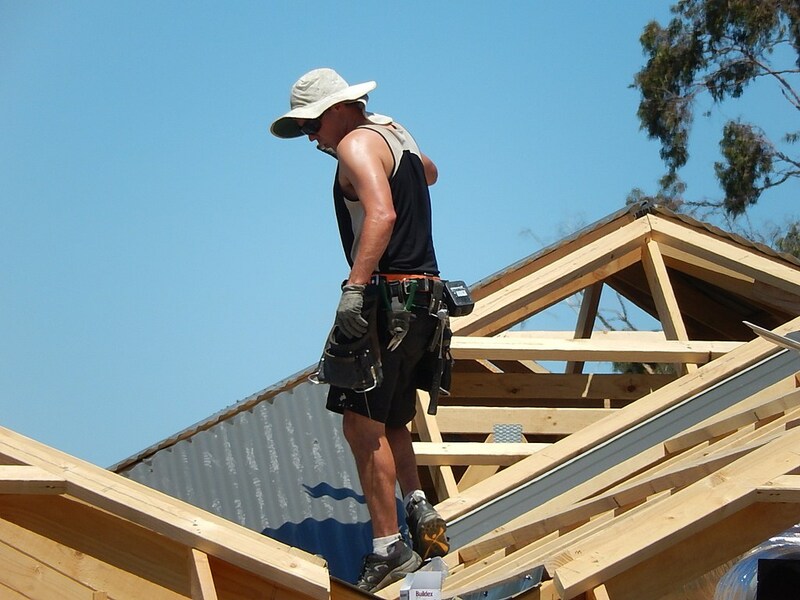 No matter what job you are needing completed, it is essential to hire a reputable contractor of roof repair Pittsburgh, such as the one found at www.roofingcontractorpittsburgh.com. There are hundreds of contractors to choose from and finding the right one for your specific project can seem like a tedious task. Below are some tips for narrowing down your choices quickly so that you can get your job started. One of the top things to look for in any type of contractor is that they have transparent pricing. You do not want to hire a contractor without knowing exactly what you are going to be charged for. Be sure you get a contract and a detailed list of costs shown to you to sign off on before any contractor begins work. This will ensure there are no hidden fees at the end of the project that you will have to pay for. Another quality you need to find in a professional contractor is that they can communicate well. It is important for you to be able to effectively communicate what you want from your contractor. This is necessary so that homeowners are able to know exactly what the project entails, be aware of any possible issues and not feel unable to ask any questions they have about the process. No reputable contractor will perform a job for their customers without some kind of guarantee on their work. Always be wary of any contractor or company that won’t stand behind their work. Guarantees are a reliable way to find a contractor that stands behind their work and has good quality control standards. You will have more peace of mind when you choose a contractor that offers customers a solid guarantee. Enhancing the curb appeal of a home is often a motivating force for embarking on an exterior update. As part of your updating endeavor, you may look for a way to make your lawn less cluttered by purchasing a shed to store lawn and garden equipment. Choosing the shed before you begin the updating project can provide unique inspiration for your exterior improvement choices. With the diverse styles of storage sheds available at places such as outdoor storage sheds ma you can find a shed so attractive you will want it to be a visible part of your landscape design. You might want to consider selecting a shed that has architectural elements similar to the style of home you have. There are many design elements you can choose such as window styles, shutters, siding colors, roof design and door styles to assure that your storage shed complements your home. Updating the garage door is a great way to improve the curb appeal of your home. Matching the garage door to the style of door on the shed will create design unity. When adding or replacing shutters, you can also coordinate them with the shutters on the shed. When you update your exterior lighting such as porch lights and garage door lighting, you can add a light beside the doorway of the shed. You could also design a pathway to the shed and add walkway lights to enhance the overall beauty of the landscape. Not only can your shed provide storage space, it can become a focal point of the landscape. You can use rocks or gravel to create a patio-like space near the shed. 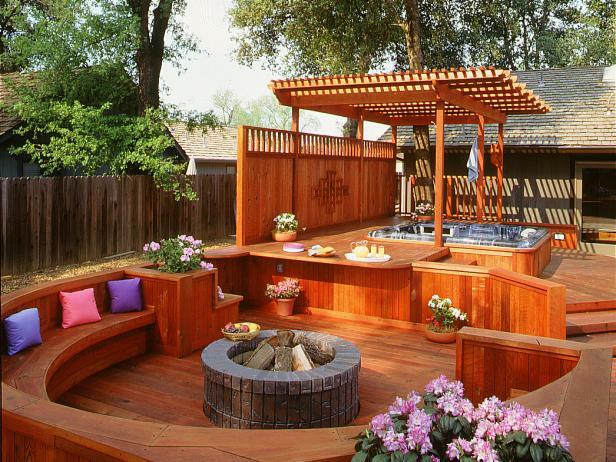 Add some outdoor seating and a few flowers and you have an attractive outdoor sitting area. When you want to change the flooring in your home or it’s time for new carpet because the floor in your home is damaged, you want to consider a few installation tips that can make the process a bit easier. A carpet installation Lewisville company can come to the home and measure the floor before laying the carpet if you don’t have the time or the knowledge to complete the job yourself. 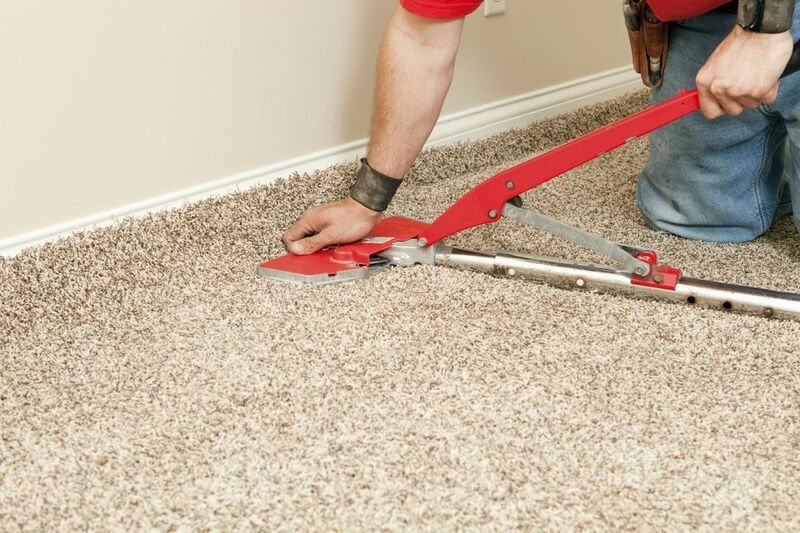 Before getting started, you’re going to have to rent the tools needed to tack down the carpet or purchase them if you plan on installing carpet for more homes than your own. When you get your carpet, you might think that you can just put it on the floor and nail it down. While this is a simple way to get the carpet on the floor, it usually won’t look good and will likely have wrinkles in it, making it appear as though there is debris underneath the carpet. A stretcher is the best tool to use when installing carpet so that the flooring is as flat as possible against the floor. Examine the pattern of the carpet because you want to seam the pieces so that the piles of carper appear seamless. Make sure the lighting in your home is bright, opening the windows and doors if needed so that you can get a good look at the pattern of the carpet. This tip can make it easier to determine which way the carpet flows when it’s on the floor. During the hot summer months, it can be difficult to imagine the onslaught of cold and icy weather. However, as the weeks wane toward fall, you realize that you only have a short amount of time to get your house ready for the cold of winter. With seasonal repairs, maintenance, and chimney inspection DC homeowners like you can winterize your home and be ready well before the first blast of cold air arrives. At first glance, your chimney may look like it is perfectly intact. You may not see any signs of damages like cracks, holes, and crevices in the mortar. However, your untrained eye may not know what to look for and miss out on damages that can cause your fireplace to burn inefficiently this winter. The damages could cause gas leaks inside of the home. They also could increase the risk of fires breaking out in the chimney and spreading out past the hearth into the home itself. When you hire contractors who are trained to spy these types of damages, you get the assurance that your chimney will be closely examined by professionals. They can look at the mortar and the bricks and make sure that there are no holes or cracks. If they see signs of damages, they can repair them quickly so your fireplace burns as it should all winter long. It can be vital that you know when to call these contractors for assistance in repairing the damages in your chimney. If you wait until the wintertime has already started, you may not be able to get the same day service you expect. The contractors may have customers ahead of you in line. Instead, it might serve you to call them during the late summer or fall. This time span gives them enough space to service your chimney and make the needed repairs without feeling rushed. 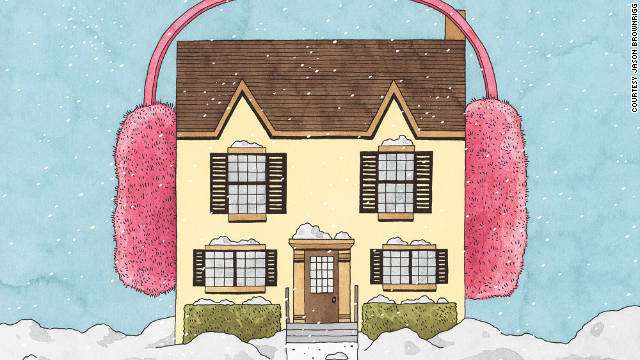 Your home can be ready for the wintertime chill as the fall comes to an end. For decades, the top freezer dominated the consumer market despite having serious design flaws. Bottom Freezer fridge has changed all that. If you’re looking to replace your old model or are in the market looking to buy your first refrigerator, you absolutely need to read this before jumping the gun. First of all, let’s clear up the difference between a top freezer and a bottom freezer. What is a bottom freezer fridge? A bottom freezer fridge has the freezer at the bottom of the fridge. This is the major difference between a top and bottom freezer. This design was inspired because of consumers. Usually the freezer is the least accessed compartment, yet it is right on top. The other trays and compartments such as fruits and vegetables basket are all the way at the bottom forcing you to bend down and strain your back. It may not be a problem for everyone but it is definitely an inconvenience. Bottom freezer refrigerators fixed this problem by simply placing the freezer at the bottom. No need to strain your back: This is a key point in the bottom freezers. Your everyday items are right at your eye level and you do not need to hunch or bend to get to the food. Built-in Organizers: Most top freezers are just wide open with little to no organizers. Bottom freezers come with a multitude of compartments where you can stow away everything neatly. Temperature can be varied: A lot of bottom freezers have a pull out tray to store snacks that you eat frequently. This pull out tray can be customized to have a different temperature than the rest of the fridge. 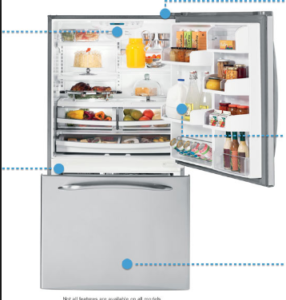 Compact: The bottom freezers are way more compact than a double door refrigeratoror side by side fridge. You can fit in a bottom freezer in a tiny space without any issues. Refrigerator price: Bottom freezers cost more than top freezer but less than a double door refrigerator It may seem like a lot to pay for a fridge but it is absolutely worth every rupee. Kid friendly: With top freezer fridges, it is nearly impossible for a child to reach the freezer. In case of an emergency where ice is needed or if children just want frozen treats, it makes much more sense to have the freezer at the bottom where they can easily access it.